I’ve been posting a lot lately about where to eat and drink in Boise, Idaho, after we spent a weekend checking out the ever-expanding food scene there, thanks to an invitation from the Southwest Idaho Travel Association (SWITA). There’s no shortage of good food, and I was thrilled to find there was also no shortage of great wineries, either. I think it’s about time I share my list of 5 must-visit wineries in Boise! It’s not a secret that I’d rather spend my weekend out wine tasting than visiting museums. When we travel, we love to seek out new breweries and wineries that we can try – and we’ve been all over the world visiting wineries. So of course we jumped at the chance to discover a new wine region – the Snake River Valley AVA. The Snake River Valley AVA was formed in 2007 and encompasses a large area in Southwestern Idaho and two counties in eastern Oregon. The AVA currently has 15 wineries, both urban and rural. The wineries we visited were located close to the Boise downtown core in an area called District 44, making them very convenient to visit, even if you don’t have a rental car, or want to take an Uber there and back to avoid driving. These 5 wineries are all within walking distance, albeit a bit of a hike. From Cinder Winery to Coiled Wines is 1.4 miles, or about a 30 minute walk. We started our day at Cinder at 11am (the only one that opens that early), and finished around 2pm at Coiled. You could get through them slightly faster, or take even longer, if you hang out and enjoy yourself. You won’t find any food at the wineries, so when you’re ready for a lunch refueling, try the Sandbar Patio Bar & Grill or Joe’s Crab Shack, next to Telaya. We also found a couple of taco trucks parked in Garden City! We started our day at Cinder, because it opens the earliest of the five wineries, at 11am, plus they have quite a few white wines, which we like to try early on. It was a fantastic way to start our tour of the District 44 wineries. Our pourer was in her first day on the job, but you never would have known it. She knew all about the wines and was eager and happy to discuss them with us, which is often what makes me love a winery experience. The tasting room is a huge warehouse, but it’s decorated so well that you’d think you were in an ultra-modern bar downtown. To serve their white wines at the perfect temperature and preserve flavor, they use a keg system, which seems to be catching on among Boise wineries. They have an off-dry Riesling, a Rose, Chardonnay, a dry Viognier and an off-dry Viognier. You might just fall in love with them all! We did. A bottle of the dry Voignier and the Small Lot Series Merlot made it into our luggage for the trip back. Split Rail Winery shares a tasting room that once was an auto mechanic’s garage, with Syringa. This is quite convenient, as you’ll get to taste through both wineries’ line ups without having to walk or drive anywhere. The wines they have for sale are all listed on the chalkboard at the back of the tasting room, and the tasting notes give hints about what they’re currently pouring. They focus on innovative wines and try not to make the same wine twice. Along with the bottled wines, there is a second label called Strange Folk that is 100% kegged wine that you can buy in 750ml growlers for $12. They also sell two of their wines in cans. Each can is equal to about 1/2 bottle of wine. The art on the can is fabulous, as is all of their label art work. (Check out the Laser Fox and the Horned Beast wine labels for proof.) If you don’t find at least a few wines here you love, I will be surprised. If you show up on a Saturday, you’ll be able to taste Syringa’s lineup of wines. The winemaking style is focused on traditional methods, using Spanish and Italian grape varietals like Albarino, Sangiovese, Primitivo and Tempranillo. They also have wine pouches, which contain the equivalent of two bottles of wine and are a really great way to cart around wine for picnics and camping excursions, or to keep the wine fresh longer by dispensing a glass at a time from the air-tight nozzle. You wouldn’t know it when you turn onto 32nd street, but Telaya Wine Company just opened a beautiful new facility right alongside the Boise River, where they share space with Coiled Wines. Aside from the fact that the building itself is stunning, there is a very nice, relaxing outdoor patio where you can sit and enjoy your tasting, or even just purchase a glass of wine and hang out. They have a great line up of wines including a Semillon that I found particularly tasty, a Chardonnay, a Cabernet Sauvignon and a Mourvedre. Plenty of choices. We happened to be doing our tasting with someone who didn’t care for red wine and they were able to easily accommodate her with their white wines. One of my favorites of the day was Coiled. The tasting room staff was very busy with customers who were both standing at the counter and sitting around the courtyard, so they were rushing around with bottles, expertly remembering where in the line up everyone was, and always pouring with a smile. I’d tried their Syrah the night before during dinner at Red Feather Lounge and loved it, so I was eager to taste it again and try their other wines. As I expected, I was happy with them all, though the Syrah was the one that made it into the luggage. No surprise, because Coiled focuses heavily on their Syrah and Syrah-blend wines. They also focus heavily on Riesling and have even produced a sparkling Riesling. There are more wineries to visit in Boise, Idaho, than just these 5 in Garden City. You’ll have to go a bit farther afield to get to them, but you will be rewarded with a more rural experience along the Snake River. The most notable in that area are Ste. Chapelle Winery, Sawtooth Winery, and Snake River Winery, though there are a handful of others. We were able to try many, if not all of those wines at the Savor Idaho food and wine event (watch our video of the event) that we attended in Boise, but to visit the wineries themselves will have to wait for another day. For such a new AVA, the Snake River Valley is producing some really great wine and putting Idaho wineries on the map. 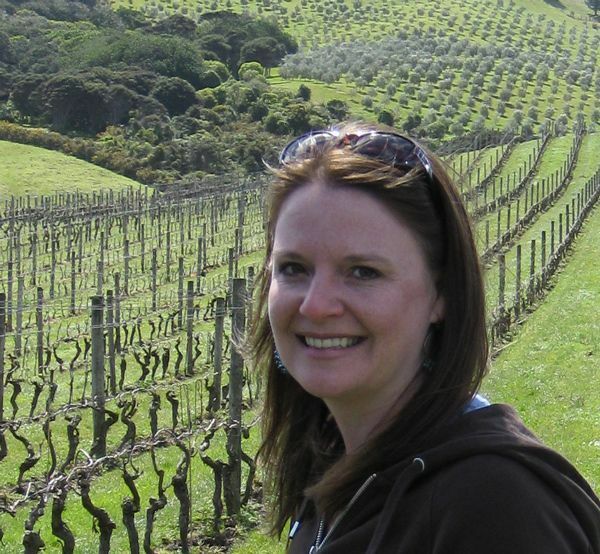 This entry was posted in Wine and tagged Boise, Idaho, wine, wine tasting. I’d love to do a winery tour some time! We’ve got some lovely wineries around us, but I never think to organise a tour. These sound lovely and great that they are within walking distance of each other, as that is one of the issues with winery tours – someone has to be the designated driver (which normally is me!). Good tip about the food (or lack thereof). What was the food like there? Any favourites for refuelling, or is it better to bring a packed picnic? Ooooh my types of wines, I love rose, Viognier and Reisling so this would be a fun way of exploring the area – now I need to get to Boise and also that amazing food festival. Wine Tasting starting from 11 am!! Love it!! And the wines in cans looks fabulous, the labels are so funky! Such an interesting and modern twist given to the traditional wine industry. I was just in Napa Valley earlier this year and I thoroughly enjoyed it even though I’m not a big wine drinker. I didn’t know they have wineries in Boise too. That’s awesome!! Wow! This was a really surprising read. I love visiting wineries when I travel too, but I never would have thought you could find so many in Boise! I must admit, wine doesn’t come to mind when I think of Idaho. But it’s great to know that Boise has so many (and within walking distance!). I’d love to try the sparkling Reisling at Coiled!